Can Ryder Cup heroes Hatton and Poulter win World Cup of Golf? The World Cup of Golf is returning to Melbourne, Victoria, in Australia in its 59th year, where 28 two-man teams will be representing their home nations at the Metropolitan Golf Club between November 21-25. The tournament has in the past been won by giants of the game, including the likes of Arnold Palmer, Gary Player, Jack Nicklaus and Tiger Woods. 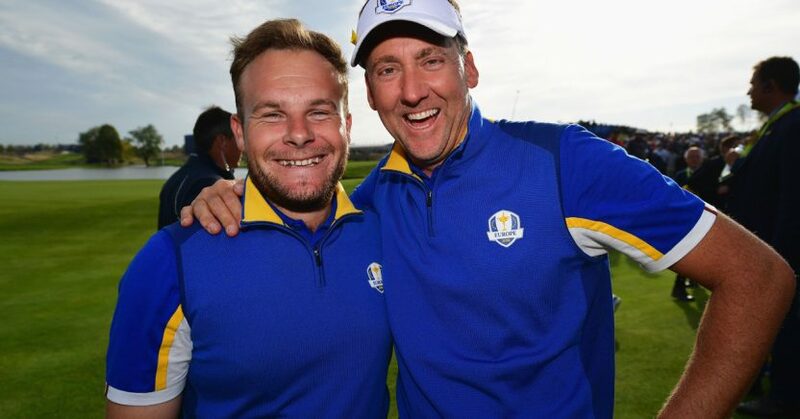 The pair chosen to represent England are victorious Ryder Cup pair of Tyrrell Hatton (who has been named captain) and Ian Poulter. Hatton is the highest rated player out of the 56 taking part in the World Cup of Golf competition, ranked 23rd, closely followed by Australia’s Marc Leishman (24th) who is to be partnered by Cameron Smith (32nd). English team captain Hatton won two tournaments last year, the Alfred Dunhill Links Championship and the Italian Open, and will be coming to Australia on a high following his Ryder Cup performance. Teammate Poulter will also arrive in flying form, having also played his part in Paris, as well as his first strokeplay win on the PGA Tour earlier this year at the Houston Open, where he beat America’s Beau Hossler in a sudden-death playoff. Other players who have committed to the competition include a number of European Ryder Cup players from past and present, including Martin Kaymer (Germany), Thorbjorn Olesen (Denmark) and Thomas Pieters (Belgium). The World Cup of Golf was last contested in 2016, when it was also staged in Melbourne, this time at Kingston Heath Golf Club. The cup was won by the Danish pairing of Olesen and partner Soren Kjledsen. The 2018 competition will be the sixth time the tournament has taken place in Australia. Only America has hosted the tournament more times, having staged it on 11 occasions in total. For the city of Melbourne, this will be the third time in succession that it has been chosen. The bookies’ favourites are the Australian pairing of Leishman and Smith. Playing on home soil gives them an added boost. Leishman told the press how excited and honoured he is to be representing his country again. If you are contemplating placing a bet on the English pairing, it is the Aussies who pose their strongest threat. Although the favourites have a home advantage, one that aided Adam Scott and Jason Day in 2013 when the competition was held at the Royal Melbourne, the World Cup of Golf has been often been lifted by travelling golfers, as it was in 2016 when the Danish pair won by four shots. Hatton and Poulter will be doing their very best to make it another ‘away’ win come this November when they hope to claim the trophy for England.